"On September 7 a part of a hill collapsed on a village in eastern Jebel Marra killing at least 20 people," said Mohamed El-Naier, spokesman of SLA-AW. "Dozens more are still buried under the debris. The entire village has been destroyed," he said, adding that those who survived were now living in the open without any shelter. 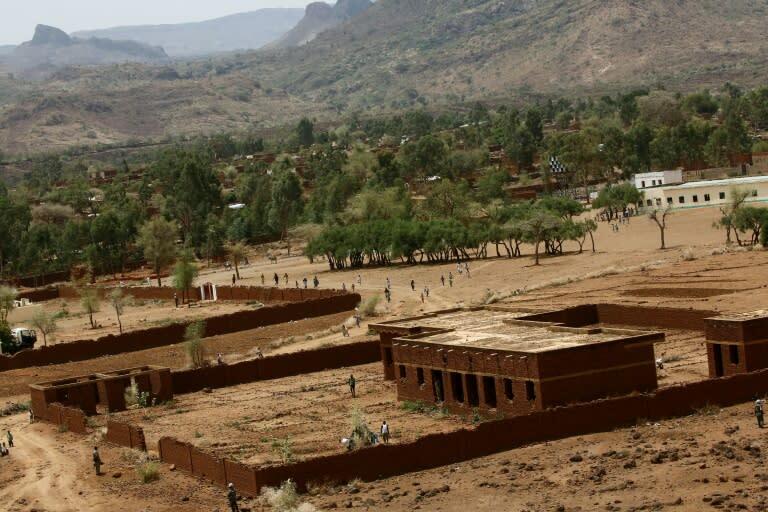 The region of Jebel Marra, a vast terrain of rocky mountains, has witnessed fresh fighting in recent months between the SLA-AW and government forces, although overall levels of violence remain low across Darfur. Khartoum restricts international media access to Darfur, an area about the size of France, so it is not possible to independently verify details of fighting or disasters there. With the overall fall in violence in Darfur, a joint peacekeeping mission between the UN and the African Union, known as UNAMID, has been reducing its troops, which currently stand at about 8,700. Plans are to cut them to 4,050 by June 2019, with mission itself terminated by the end of 2020. Deployed in 2007, UNAMID once had 16,000 blue helmets on the ground tasked with protecting civilians in Darfurbut the UN Security Council last year agreed to a major drawdown.